Bella Woodward is a New York local party host and event coordinator who specializes in public relations and marketing. She’s originally from Staten Island, New York but after seeing her first hip hop showcase in college she was inspired to create her own events. At this point she’s become very passionate about promoting the underground music scene and culture, and her goal is to give great artist a platform to perform their music freely and be heard. “I will have my own production company and I will help our generation and younger generation on a grander scale,” said Bella. 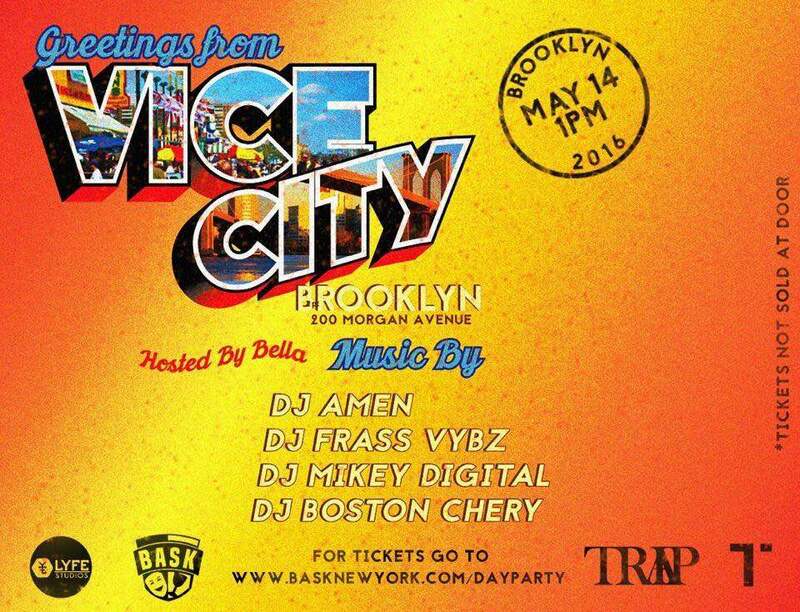 Bella holds events daily but her next big festivity will be a Brooklyn Day Party with BaskNY on May 14th. Read more about her experiences and journey within the interview below! What exactly inspired you to begin your profession and when did you officially start? Well when I started I’m 23 now I really started when I was 20 and I was in college (hunter college) to be exact and I went to my first hip hop showcase with a bunch of people at the time I had no idea who they were and all I could think to myself is how dope these artist were and there’s more out there and I wanted to find them soo I reached out on Twitter and Facebook and IG and said f*ck it I’m gonna rent a loft and throw a showcase / party. I’ll never forget it, Chinky dj’d, Swizzy Swinton, Slim Dollars, Laya LaRoche performed Asap Twelevy and Dee&Ricky showed up to support me we also had vendors selling clothes and it was just beautiful and of course I hosted, and after that I just kept going until now where venues offer me their location and I host parties at some groovy top notch spots in NYC. The movement is still building and will continue to do so. Well I’ve hosted MC-ed coordinated plenty of parties showcases etc , but I have to say the one I’m very proud of being apart of was “housepartynyc” and being able to host and MC that event this year in Texas for SXSW 2016. I met and got to introduce Mannie Fresh, Lil yachty, 21 Savage, Young Dolph, Little Simz and more… it was mind blowing for me! How has your life changed since you began your journey and what are you expecting next? My life has changed in a sense of I’ve found myself through this culture and that was something I needed to do and hmmm what I’m expecting next well you’ll have to stay tuned and watch but great things!!! I aspire to be the next female 40oz but in my own version throwing festivals and block parties bringing NYC feel to different states and sh*t countries if I can to. What characteristics do you believe are important to have in order to be successful and why? To be successful? Well I feel you need to believe in yourself even if no one else might believe in you! You’re greatest competition is yourself and people need to know that. I would say set a goal and keep going for it DONT GIVE UP DONT EVER F*CKING GIVE UP . And stay humble success will come if you want it. For the young generation inspired by your achievements, what advice could you offer to those pursuing a career in the entertainment industry? What message are you trying to send the world through your art? I think I contribute an open mind which isn’t really around that much a lot of people have this follow the leader vibe or what everyone else thinks is cool vibe. I want little girls and boys to know don’t follow any ones lead or drum beat do your own thing and make your own lane. An open mind and a humble ego is beauty be nice and kind to people. CREATE ! AND follow your dreams they will come true. If a girl from the projects of Staten island can make her dreams come true then you can too!